Lawrence J. Friedman is a professor in Harvard University's Mind/Brain/Behavior Initiative and a professor emeritus at Indiana University. The author of eight scholarly books and more than fifty articles, he has lectured in eleven countries and was named International Writer of the Year for 2003 by the International Biographical Center. His works include Identity's Architect: A Biography of Erik Erikson; Menninger: The Family and the Clinic; Gregarious Saints: Self and Community in American Abolitionism; and The White Savage: Racial Fantasies in the Postbellum South. David Barsamian -- "Power Systems"
David Barsamain will speak about and sign his new book of interviews with Noam Chomsky, Power Systems: Conversations on Global Democratic Uprisings and the New Challenges to U.S. Empire, on Tuesday, February 26th at 7:30pm. Power Systems is a compelling new set of interviews with Noam Chomsky on our changing and turbulent times. The latest from a long-established, trusted partnership, this collection of interviews shows once again that no interlocutor engages with Noam Chomsky more effectively than David Barsamian, local author as well as Founder and Director of Alternative Radio. These interviews will inspire a new generation of readers, as well as longtime Chomsky fans eager for his latest thinking on the crises we now confront, both at home and abroad. Vouchers to attend are $5 and get you $5 off the author’s featured book or a purchase on the day of the event. Vouchers can be purchased in advance, over the phone, or at the door. 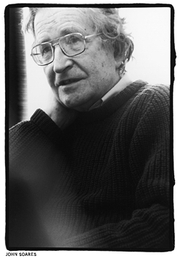 Noama Chomsky - "The Role of the Radical Intellectual: Some Personal Reflections"
Noam Chomsky's book Power Systems was available from LibraryThing Early Reviewers. Noam Chomsky is currently considered a "single author." If one or more works are by a distinct, homonymous authors, go ahead and split the author. Noam Chomsky is composed of 13 names. You can examine and separate out names.